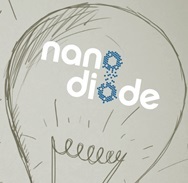 NanoDiode will hold its Closing Event on 31 May 2016 in Brussels. This event will bring together a broad range of stakeholders to discuss the effective governance of nanotechnologies. NanoDiode partners will present the most important outcomes and discuss the project findings in the context of nanotechnology governance. The NanoTube and NanoBazaar will be on display during the event, and all relevant reports and briefs will be made available. This event will be open to all those interested in the governance of nanotechnologies.